Thanks to a successful cooperation with OPAL-RT, now complex simulations are possible with Lucas-Nülle's Power Engineering Training systems. 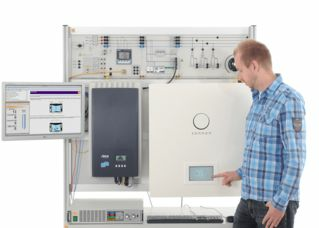 The new system integrates modern hardware-in-the-loop simulation tools from OPAL-RT with the practical training systems from Lucas-Nülle. On the one hand, this increases the range of applications for the Lucas-Nülle power engineering systems, especially in higher education. On the other hand, the cooperation offers OPAL-RT users the opportunity to test their own simulations on authentic hardware.